The Casentino is one of the four valleys in the province of Arezzo, where there are the Arno River springs. Although the Casentino cannot compete with the most important Tuscan cities of art, the area is rich in castles and Romanesque "pievi" (parish churches). The Sanctuary of La Verna and the Monastery of Camaldoli are particularly interesting holy places. 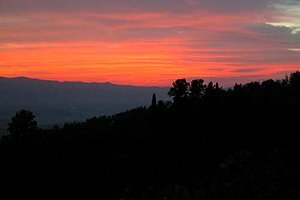 Those who love nature can visit the National Park of Casentino Forests, Monte Falterona and Campigna. 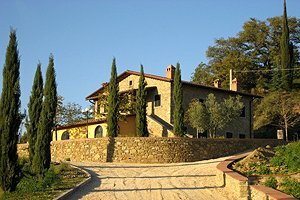 Florenceholidays.com, a real estate agency specialised in renting holiday homes and villas, presents a wide selection of villas for vacations in Casentino and in Tuscany - villas with or without swimming pool, villas immersed in the Tuscan countryside, luxury castles, apartments in villas and farm holiday apartments. 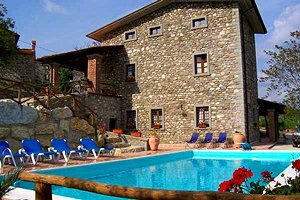 If you are willing to spend your holidays in Casentino, find the villa that meets your requirements among the villas in Casentino we have selected for you in this page and in our website. 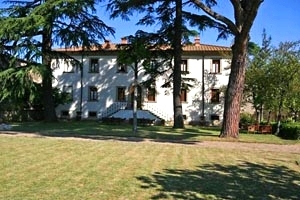 Vacation villa in Caprese Michelangelo (Arezzo), in Casentino. Sleeps 14, swimming pool, Internet connection. 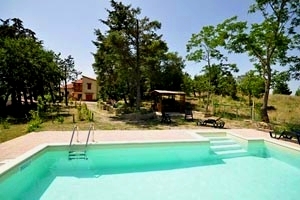 The villa is near the Casentino National Park; riding stable and tennis club within a few kilometres. 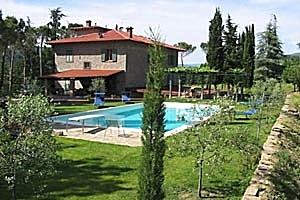 Ancient farmhouse with swimming pool at the border between the Chianti and the Casentino, in Castelfranco di Sopra (Arezzo). 8/9 sleeping accommodations, wonderful panorama, barbecue. Beautiful modern house sleeping 7 near Rassina (Arezzo), in Casentino. Garden, panoramic swimming pool, barbecue, Internet connection. 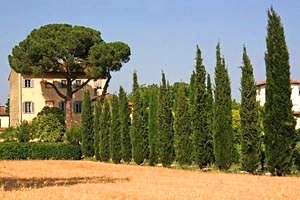 Elegant 16th-century farmhouse sleeping 12 in Tuscan Valtiberina, near Arezzo. Swimming pool, air conditioning, Internet connection. Tennis club and riding stable nearby.